An interdisciplinary look at the dramatic changes in the contemporary Japanese family, including both empirical data and analyses of popular culture. The Japanese family is at a crossroads of demographic change and altered cultural values. While the population of children has been shrinking and that of elders rising, attitudes about rights and responsibilities within the family have changed significantly. The realities of life in postmodern society have shaped both the imagined family of popular culture and the lived experience of Japanese family members. Imagined Families, Lived Families takes an interdisciplinary approach toward these dramatic changes by looking at the Japanese family from a variety of perspectives, including media studies, anthropology, sociology, literature, and popular culture. 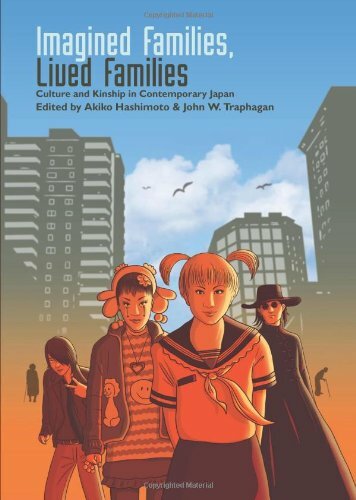 The contributors look at representations of family in manga and anime, outsider families and families that must contend with state prosecution of political activists, the stereotype of the absolute Japanese father, and old age and end-of-life decisions in a rapidly aging society with changing family configurations. Contributors include Akiko Hashimoto, Susan O. Long, Keiko McDonald, Susan Napier, Patricia Steinhoff, Mariko Tamanoi, and John W. Traphagan. Akiko Hashimoto is Associate Professor of Sociology at the University of Pittsburgh and the author of The Gift of Generations: Japanese and American Perspectives on Aging and the Social Contract. John W. Traphagan is Associate Professor of Religious Studies and Anthropology at the University of Texas at Austin and the coeditor (with John Knight) of Demographic Change and the Family in Japan’s Aging Society, also published by SUNY Press. 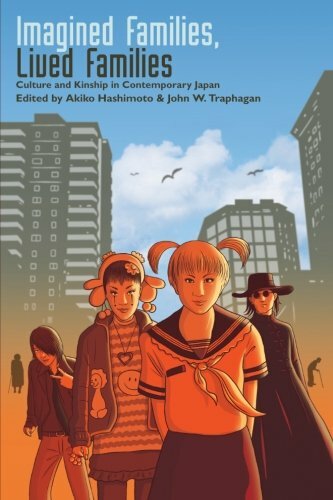 Hashimoto, Akiko, and Traphagan, John W., eds.